Jabico Enterprises prides itself in providing cutting edge Mobile Application Development services for various platforms like Apple iOS, Android OS, & HTML5 Mobile Application Development. 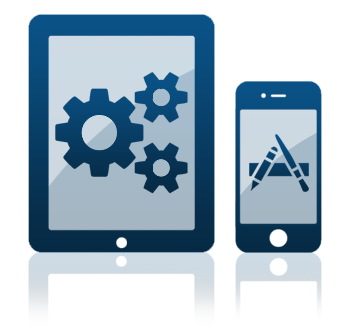 Our team of mobile engineers are experts in iOS development for both iPhone and iPad devices. Using the latest iOS coding and technologies available we are constantly finding new ways to build secure, scalable, and highly interactive iOS applications. Our past iOS projects include 1-way video / 2-way audio, event planning and management, Dropbox-like file syncing from iPhone and iPad, and more. Whether you are looking for guidance on your existing Android technologies, a demo product that will impress future investors, or a production-quality Android application, we can help turn your idea into a working app. We provide you with high-quality end-to-end native Android mobile solutions built to suit the exact needs of your business. From concept creation, Android design and development, to testing we provide full lifecycle Android development. We develop cross-platform mobile applications that can run on any mobile browsers by taking the advantage of latest technologies of HTML 5 and CSS 3. We are also experts in libraries like Sencha Touch and jQuery Mobile to rapidly build and deploy high-quality apps for mobile browsers. Webalo is enterprise mobility made easy. It uses a simple point-and-click, web-based process that anyone can master to connect smartphones and tablets to the enterprise applications and data you already have. Every enterprise-to-mobile connection can run on any Android, Apple, BlackBerry, or Windows mobile device through a single, secure mobile client, and each connection gives mobile employees the exact data and functions they need to whiz through tasks and workflows more productively – all for pennies an app. 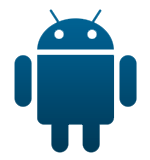 Jabico is an approved Webalo partner and able to take your enterprise application mobile. For more information, download the PDF 1-pager and contact our sales team.